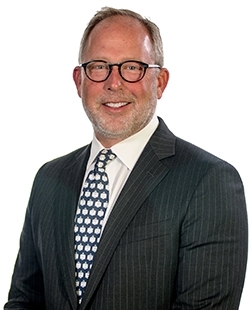 Todd Payne is a prominent business leader in Connecticut and has been the President of Goodfellow Real Estate for 27 years. On November 1, 2017 Goodfellow was sold to NRT, LLC. Combining the legacy and expertise of Goodfellow Real Estate with the worldwide reach of Coldwell Banker Commercial. Todd is now the Managing Director of Coldwell Banker Commercial NRT. In addition to Todd’s role in the management and strategic growth of his company, he handles a limited number of clients and has been involved in over $750,000,000 of transactions during his career. Tell me a little bit about yourself and your business? Todd: As of November 2017, I am the Managing Director of Coldwell Banker Commercial NRT – Goodfellow in Danbury, Connecticut. Prior to joining CBC, I was the President and Owner of Goodfellow Real Estate – a company founded by my Grandfather over 84 years ago. I specialize in office, medical, and investment real estate, and provide strategic management leadership to everyone in our office. How did you get started with ClientLook? Todd: We first started using ClientLook about four years ago, and we ran it parallel with the existing CRM we already had in place to compare the differences. When we first started using ClientLook we weren’t sure if we were going to commit to making the switch, but it ultimately made the most sense for us. Currently, we have 17 brokers plus a team of administrators and marketing staff, and everyone in our office utilizes a shared ClientLook database. Everyone has access to our data in real-time and it has helped the team communicate more efficiently. How was the process of getting your data converted into ClientLook? Todd: The process was very easy! With the help of the ClientLook team we were up and running within a week. The ClientLook support team transferred everything for us and they didn’t charge us extra for it – it was all included in the service! Last time we changed our CRM it was very expensive, yet with ClientLook it’s part of the package. That’s a great deal! Our administrative staff started handling the database, contact information, day to day updates, and property marketing right away. It was a very smooth transition. How has ClientLook changed the way you do business? Todd: Staying organized is simple now with the ability to send a blind copy of every email directly into our ClientLook database. We use the BCC feature to keep track of all email communications and this feature is easy to use and works well. It’s nice to have all client emails, deal activity, and email attachments organized together for quick and easy reference. In addition, we provide our clients with the ability to login to see their deal activity – such as calls, emails, contracts, and marketing – and they like that they can see updates in real-time. We also handle a lot of residential referrals from our Coldwell Banker Residential offices and we provide the agents with the ability to login to see how their referral transactions are going. This is very beneficial for all parties! What are some of your favorite ClientLook features? Todd: I like the iPhone app and use it quite a bit. It’s great that I can make a call, and then the app prompts me to add a quick update. With the app, I can pull up my contacts, deals, send emails, and access all correspondence when I’m on the go. It’s a great feature! We also use Buildout to create the marketing for all of our listings, and MailChimp for our email marketing. I actually started using Buildout because of ClientLook. It was one of the integrations that ClientLook already had in place, so we looked into it and realized how powerful the integration was. ClientLook and Buildout are both best in class, and they work so well together. We love the email analytics as well; seeing the open rates, click rates, and statistics are beneficial for our office staff as well as our clients. The Virtual Assistant team is also a wonderful feature! I have to admit that we didn’t use the VA very much in the beginning, but once I started using it, I realized how much time it was saving me. I currently use the VA multiple times per week, but when I’m traveling I use the VA multiple times per day. For example, I was at the CBC conference in Florida a couple weeks ago, and I was taking pictures of business cards throughout the conference and sending them to the VA to add to our database. What a great feature! It’s convenient, the work is completed accurately, and they turn it around quickly. I think the Virtual Assistant is extremely helpful for people who are on the road. Todd: We chose ClientLook because it is very easy to use and there is a lot of value in the platform. I liked all of the built-in integrations so there is no redundancy in data entry. Also, the fact that Michael Griffin is the one behind the company gave me the confidence I needed to make the switch. The team at ClientLook knows commercial real estate, so they understand our needs. The people make a huge difference; plus, it’s great that I can always call or email and get a reply quickly from an actual person. That’s rare these days. Todd: I would suggest that you go with a CRM that is tailored for the commercial real estate business. There are a lot of CRM’s out there, but they aren’t built for our world. Other CRM’s would have to be customized and still won’t have all of the specific CRE features that you need (that ClientLook already has in place). I also suggest that you choose a CRM that has a team who understands the commercial real estate industry and who is constantly working to make the platform better. Choose a CRM that is mobile friendly since most brokers are not sitting in front of a computer all day. Lastly, being able to integrate your marketing is a huge time-saver so you’re not spending your time duplicating your efforts. ClientLook already has all of this in place! Todd: Very good! The team is very reactive; they listen to our needs and work quickly to solve any issues that we’ve had. The team knows the commercial real estate industry and they’re constantly adding new features to the platform.